One of the first decisions new partners face in pursuing a new business venture is what type of business entity to form. Options include forming formal business entities such as a corporation or limited liability company (LLC) which are registered with the State of California or forming a partnership. While formal business entities offer many advantages (most notably protection of personal assets from liability), many new business owners prefer partnerships because of the ease of formation and the maximum flexibility in operations. This article focuses on the partnership. However, it is prudent to consult with an experienced San Diego partnership lawyer and accountant regarding the benefits of a more formal business entity before moving forward. Although California law does not require a written partnership agreement, there are significant risks associated with informal oral agreements to form partnerships. If after careful consideration, the prospective partners opt to go with the partnership, there is little doubt that a written partnership agreement should be entered into. A written agreement of some sort is an essential part of any good business venture. A well drafted written partnership agreement helps insure that there will be no future misunderstandings regarding each partner’s intent. Often, partners rely on the default provisions governing partnerships under California law without realizing that many of these default provisions are inapposite to the partners’ expectations. Or in some cases, the partners will merely rely on oral agreements to deal with key provisions. However, enforcing oral agreements comes with a host of problems that can result in significant future conflict. See “Why Oral Partnerships Are a Bad Idea“. California’s Revised Uniform Partnership Act (RUPA) sets forth the default rules that govern oral partnerships. Limitations on Outside Pursuits: It is common for partners to commit varying amounts of time towards the operation of the business. Some maintain full time employment while committing resources and after hour time towards operation of the partnership. Others maintain partnership interests in other business ventures. A well-written partnership agreement will address whether these options are permissible. Whatever the case, the partnership agreement needs to clearly delineate each partners obligations and limitations with respect to time and resources towards business operations. Capital Contributions, Ownership Interests and Compensation: A partnership agreement should delineate the partners relative capital contributions (whether cash or property), ownership interests and compensation. Partners who invest greater resources usually want a larger profit interest and greater voting rights. In some instances, these initial investments come in the form of loans to the partnership. Partners that invest significant personal time will want to be compensated for their efforts. Whether via a salary or as an increase in capital contribution (see “Sweat Equity for Ownership in California Limited Liability Companies and Partnerships“), the partnership agreement needs to clearly state the form of said compensation. A good partnership agreement should clearly indicate each partner’s percentage ownership, the basis of each partner’s ownership interest (cash investment, sweat equity or a combination of both), whether the ownership interest is subject to vesting, how each partner will share in the profits and losses, under what circumstances will the partnership distribute profits versus reinvesting profits in the partnership, whether any or all of the partners will be entitled to a salary and whether any contributions are in the form of a loan. Additional Capital Requirements: A well-written partnership agreement should also address the potential need for additional capital. Will the partners be obligated to invest additional capital if it becomes necessary to keep the company afloat or will the company simply dissolve if the initial capital proves insufficient to reach a profitable state. Or will the partners seek additional investments? It’s best to plan for the worst case scenario. Dissolution: Dissolving the partnership is the last thing new partners in a business venture want to talk about. However, it is critical that the partners have a clearly defined exit strategy. Transfers: What if one of the partners passes away, becomes disabled or goes bankrupt? What happens if it becomes impossible for the partners to cooperate or one of the partners simply wants to sell his partnership interest? How will each partnership interest be valued for transfer purposes? These contingencies need to be addressed in the partnership agreement while everyone is still cooperating. Generally, partners enter into a Buy-Sell agreement that addresses the transferability of partnership interests including provisions for the addition of new partners, the expulsion or voluntary withdrawal of partners and the death, incapacity or bankruptcy of partners. Decision Making: California’s default rules provide each partner with equal decision making authority. However in practice, partners will often intend to apportion authority differently for various reasons. Partners with a greater ownership interest may demand that their vote carry greater weight then a minority partner. They may also want to limit an insolvent partner’s ability to bind the partnership. Major decisions such as the decision to dissolve the partnership may require a unanimous vote. Other decisions may require a majority vote and the majority vote may be determined based on each partner’s ownership interest rather than on a one to one basis. Typically, the partnership will vest each of the partners with the authority to conduct day to day operations while placing limitations on the amount any one partner can withdraw from the bank, write checks for or obligate the partnership to pay back. It’s important that the partnership agreement clearly delineate all of these options so that there is a path to resolution if there is disagreement in the future. The agreement should also establish a mechanism for resolve deadlocks. Often partners agree to resolve deadlocks via arbitration or mediation. This helps to avoid protracted litigation. 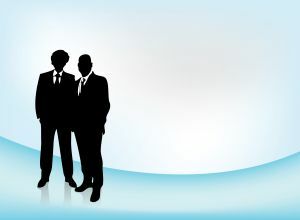 If you are considering the formation of a partnership, LLC or corporation, consult an experienced San Diego business lawyer.